TORONTO — Premier-designate Doug Ford today announced that his cabinet’s first act following the swearing-in of his government will be to cancel Ontario’s current cap-and-trade scheme, and challenge the federal government’s authority to impose a carbon tax on the people of Ontario. Ford also announced that Ontario would be serving notice of its withdrawal from the joint agreement linking Ontario, Quebec and California’s cap-and-trade markets as well as the pro-carbon tax Western Climate Initiative. The Premier-designate confirmed that he has directed officials to immediately take steps to withdraw Ontario from future auctions for cap-and-trade credits. The government will provide clear rules for the orderly wind down of the cap-and-trade program. 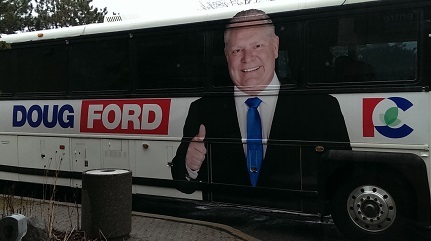 Finally, Ford announced that he will be issuing specific directions to his incoming attorney general to use all available resources at the disposal of the government to challenge the federal government’s authority to arbitrarily impose a carbon tax on Ontario families.